A few simple tips make all the difference when you’re trying to organize your finances during your divorce. Almost everyone focuses on division of assets when they are starting the divorce process. However, there are many other things to think about. 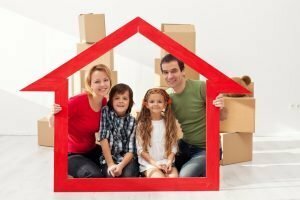 If I want to keep the home, can I afford it? How am I going to pay for college? How does this impact my retirement? Try to think beyond the short term division of assets plan and start thinking five to ten years out. Everyone thinks about hiring an attorney. However, if you are living in Columbus and are considering divorce you may also should consider the idea of hiring a financial advisor to help with their finances during this stressful and emotional time. Here are 7 financial tips to help you start out on the right foot during the divorce process. This is very important. Make sure that sometime during the process of divorce that you check your credit report and make sure you don’t forget anything. You can get a free credit report from any of the three major credit reporting agencies and other online resources. Remember it’s very possible that debts that are normally paid by your spouse can show up on your credit score. Make sure that all your joint credit accounts are closed, are put in one person’s name or are paid. Once you close the accounts that are in both of your names you need to establish credit on your own. Open bank accounts and apply for credit cards in your own name. It is usually preferable to use a different bank that you have used in the marriage. Start with your house and have a real estate agent estimate the market value of your house. And then list all of the property that you and your spouse currently own. Once you finished with that do the same for your debts including mortgage, other loans, credit cards and any other type of debt. It is very important that you don’t forget something here. Check your retirement accounts, insurance policies and employee benefit package. Getting divorced impacts your taxes. Make sure you understand how your tax situation will change. It’s no fun to receive a big bill from the IRS in April. You are in the process of shifting from one household to two households which costs more. And It may be possible that your income is going to go down. It’s very important to establish a budget to understand where your money is going. Be sure that you have a cash emergency fund and retirement savings in the budget. Everyone has or needs various types of insurance. In addition to health care insurance, you need to make sure you’re covered in other areas as well. Insurance protects you from financial catastrophe. Your property and casualty, auto, life, disability and other types of insurance that you have now may or may not be needed in the future. It’s very important to protect you and your children as you and end your marriage. It is important to understand the insurance you have in place and what may be needed in the future. Battling it out in court is very expensive. It’s very important to your finances and the future of your children and family to choose a divorce process that is less combative than litigation, like mediation or the collaborative family law process. Don’t spend all your money fighting in court. For more information, or to set up an appointment with one of our Columbus family law attorneys, contact Buck & Fish Ltd. today.